After Effects VS Adobe Premiere, What's the Difference? 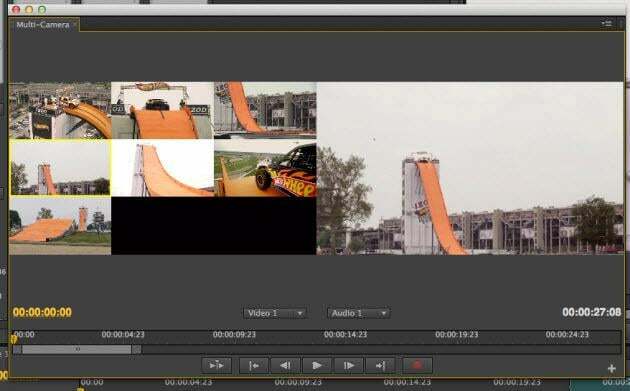 After Effects VS Adobe Premiere, 9 Differences Tell You Which One is Better? This is perhaps the most asked question regarding video processing on the internet. And looking at the product descriptions on the Adobe site gives us a clue why. There seems to be a large overlap between the two programs, and technically there is, although as we shall see capability doesn't always mean suitability, so the similarities are not quite as pronounced as they would appear. With that in mind, it is worth looking at the key differences between After Effects and Premiere to get a clearer understanding of what is best for which situation and why you would pick one program over the other. So below are the 9 points that I will make a comparison. There are numerous editing differences between the two programs, but we will start with the timeline as it perhaps best illustrates the different focus of each package. Premiere has a very detailed timeline panel with a huge amount of functionality built in to move through and manipulate the contents of a project. After Effects, on the other hand, has less options for dealing with multiple clips and is designed to deal with the composite components in a more user friendly way. The upshot of this would be the basic premise of the differences, for editing clips into a movie, whilst both can perform the task to an extent, Premiere's timeline interface makes it a much easier process with many more options to make technical editing easier for the user. 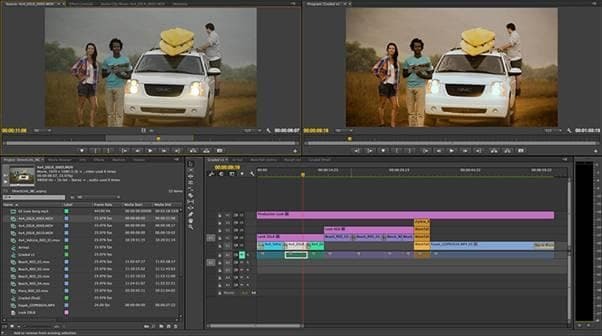 In addition to the timeline, Premiere has an interface and toolset built for precise editing and clip manipulation, both audio and video. This is not surprising of course, Premiere is after all first and foremost an editing package. By contrast, whilst there is editing functionality within After Effects, it is neither as user friendly, nor remotely as comprehensive a tool set, and as such would not be a suitable environment for extensive editing workflow. This is perhaps the crux of the differences between the two packages, for editing work Premiere offers a complete toolset far beyond the requirements for many projects, but as comprehensive as one wishes, whilst After Effects is focus more on composites and motion video work and has an editing tool set that is not conducive to efficiency and ease of use. 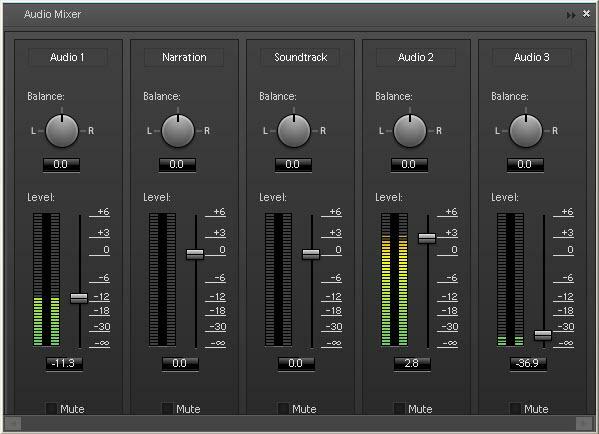 In today's market the audio component on a video product can be as important as the visual aspects, the audio clip mixer within Premiere is a professional grade tool designed to offer precise control over a projects audio output and includes the ability to use VST3 industry standard plugins. 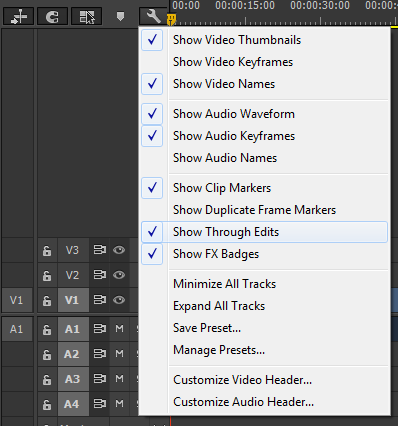 Because After Effects is primarily a composite application it lacks the finesse of Premiere where audio is concerned. Again this shouldn't be read as being an inferior program, it simply has a different focus. 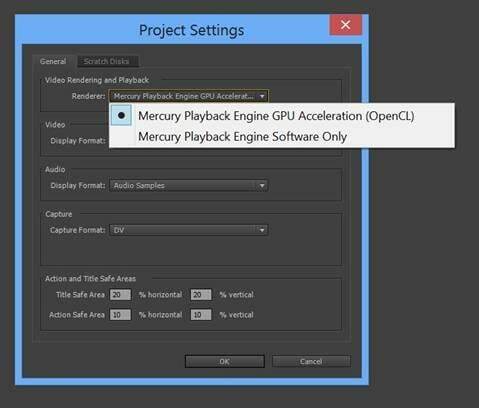 In terms of perceived functionality probably not the top of the list, but Premiere uses this to employ either software (useful) or hardware (brilliant), assuming you have a compatible graphics card, accelerated real time renderless viewing of clips and sequences. This creates a much faster workflow for editing than is possible with After Effects beyond the previously mentioned tools and interface restrictions. In terms of editing this is where After Effects just isn't comparable at all, the multi camera interface within Premiere is exceptionally featured and allows on the fly angle changes and edits and the ability to sync a single shot through numerous camera simultaneously. As said, the editing functionality on offer here is what Premiere exists for, and whilst both Premiere and After Effects are video manipulation packages, editing and composting are very different focuses, and the products reflect those differences. Often overlooked but very important for project fidelity, the media management facilities within Premiere are designed around the needs of editing production and enable a much easier organizational approach for large projects than that of After Effects. This is where After Effects comes to the fore. The ability to create masks that track through scenes is a fundamental component of After Effects workflow and why it is so good for effects creation and compositing. None of these effects are readily achievable within Premiere as it ships, and even add ons will never achieve the fluidity and ease of use the purpose designed interface provides. The 3D camera tracker within After Effects is an incredibly useful tool designed to replicate the camera movements within a given scene to allow new layers to be added that precisely match the original scene, essential for composite work and simply not possible within Premiere. 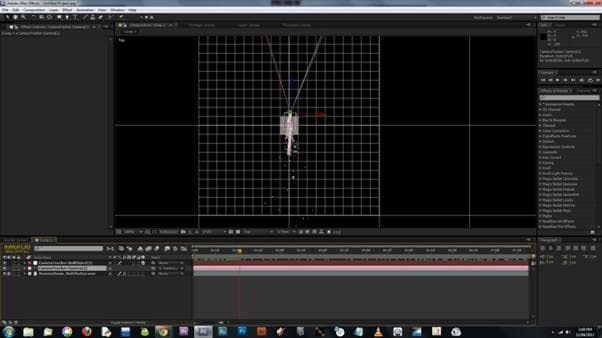 The collection of specific tools within After Effects for applying motion control effects, for color control, blurring shadows transitions and titles is vast, and whilst Premiere includes some of its own, it is clear that here After Effects has the edge and it once again highlights the different approach taken by each program. Premiere is primarily an editing application, it is designed to enable the fastest, most efficient and highest quality non-linear editing of a project possible. Within that framework it includes the ability, both natively and with plugins, to incorporate a limited range transitions and effects to aid the editing process. 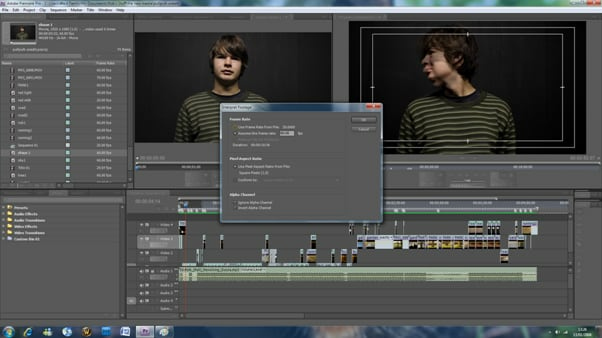 After Effects, however, is an application built around effects, it is designed to allow an almost unlimited variety of effects, transitions and animations to be incorporated into a project via compositing and as such has a wealth of tools to enable the efficient workflow of those tasks, including some editing tools that would likely be needed for that job. I've seen it explained before in terms of Word and Excel. You can compose a letter in Excel and create a spreadsheet in Word with the tables functionality, but the end result will take much longer and never be quite as good doing it that way. This perhaps is the best way to explain the relationship between Premiere and After Effects. Yes, a spec sheet makes the two programs seem somewhat comparable, but it is the focus of each application that shows why they differ so much. Ultimately, the best use of these programs is together, they complement each other perfectly. Good analogy with the Microsoft Office products. Getting ready to dive in and learn After Effects or Premier for a video editing job at the agency where I work. Your article helped me make the decision that After Effects is the app I need to use. Thx! A very good writeup that clearly distiguinshes the essence of both softwares.......Premiere for easier video editing and After Effects for lively motion effects....I appreciate the writer: This would clearly help in my path to maximize both softwares.